What do INFP and INTP have in common? Not much! Often, this is a surprise to people just learning about psychological type (the theory on which 16 Style Types is based) —and to people who only learned about the four preference pairs (the ‘dichotomies’). Even though there is only one letter different in those two types– F vs T – these two types are very different. 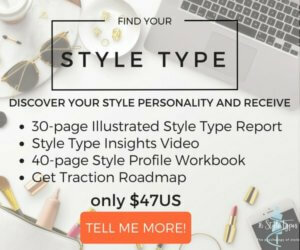 Your Style Type is a four-letter code that is short-hand for some fairly sophisticated, researched and validated concepts to do with personality, and what makes up our psychological framework using this particular model. This four-letter code will be something like ESTJ or INFP – and there are 16 of them, you can explore the overview of each of the 16 types here. Now here’s the interesting thing – this four-letter code, your “type”, has a particular – and intricate – structure to it. It isn’t additive, and this is why we say that you are not a sum of your 4-letter type code. Your type is more than just the sum of the four letters. A completely inaccurate, yet concerningly common view, is that it works like this: If you’re, say, an INFP then that must mean that I + N + F + P = You. No, no, no. No again! This is not how psychological type works. Jung and Myers, the creators of this model of personality, identified deeper, more exciting truths about how we develop and mature. This concept is called Type Dynamics. Experienced psychological type practitioners include it in their work with people to add depth and richness — and yes, some complexity — to their clients’ understanding of who they are. Type Dynamics also explains why 16 Style Types does not take what is called a “dichotomy” approach, explaining, for example, Extraversion and Introversion, and attaching style concepts to them. Our years of research found very few commonalities between how all Extraverts or all Introverts approach style, or how all Sensing types or all iNtuitives, all Thinkers or all Feelers, all Judging or all Perceiving types did. Attaching style concepts at this level would not only be over-simplified but inaccurate, and therefore incredibly unhelpful. So we didn’t do it that way. This complexity brought with Type Dynamics is the reason why we believe nobody else has successfully correlated style to this model of personality. If you don’t understand the underpinnings of the theory, this concept of type dynamics, every attempt to link style with psychological type will fall flat in some significant way. This makes us super excited about our approach to 16 Style Types. This depth of understanding of how psychological type works—45+ years among the three 16 Style Types founders— is deep and rich. All that experience, knowledge, insight, and understanding is woven into every aspect of 16 Style Types. This article will give you a taste of what type dynamics, this richness, and depth of the personality model 16 Style Types is built on, is all about. Read on if you’d like to know more about what seems like just a four-letter code, or if you’re a practitioner ready to take your clients further. Your four letters — your type code — are a shorthand to describe the interaction of your personality preferences, which ones you naturally use first, and which you use best—that you trust the most and use without conscious thought. One of those four letters are most developed preference and has the most influence on you. This is usually called the dominant function—your favorite function, your ‘go to’ function, the one that you rely on and trust over the others. According to type theory, this innate part of your personality developed first, when you were a child –this is why you might not be all that conscious of your dominant function. it’s so elemental to who you are that you may be simply unaware of its presence and impact. Type dynamics focuses on the two middle letters of your four-letter type code. If you haven’t already, identify now the two middle letters of your Style Type – they will be SF, ST, NF or NT. You can read more about these here. These two letters are referred to as “functions”, and one of these two letters indicates your Dominant or Leading Function and the other your Auxiliary or Supporting Function. The aim of exploring type dynamics is to make psychological type — your Style Type — more real, memorable and meaningful for you. Using your leading and supporting functions is one way to keep your energy levels high and using them together is another way to gain psychological balance. Consider the lead character in a movie, around whom the entire plot revolves; the story simply does not make sense without this character. The Dominant/Leading Function is like the lead character in the movie of you. Understanding your leading function can help you know why you do the things you do, why you react to certain things, and how other people experience you. If you are interested in knowing more about the impact you have on others, learning more about your leading function is an excellent way to explore that. Consider the main supporting character in a movie, providing balance and support to the lead character and the plot; the story is one-dimensional without this supporting role. The Auxiliary/Supporting Function is like this supporting character in the movie of you. Jung stated the supporting function (and all other functions) only made sense in the context of the leading function. Knowing more about your supporting function fills out the picture of type dynamics a little more. But if you want to focus on your Leading or Dominant function, that’s fine – there’s plenty to explore with just that! There is a formula that experienced practitioners of psychological type know and use to determine an individuals Dominant and Auxiliary function. As someone interested in your style journey who has discovered her Style Type, you don’t need to understand this formula to appreciate its power. Extraverts use their dominant function in the outer world and it is this function which is most developed – it’s their “leading function”, the “lead character” in the movie of them. By definition, it’s visible to the world – it’s extraverted, it’s external. If the final letter in your type is a P, then your dominant function will be the S or N in your 4 letters. If the final letter in your type code is a J, then your T or F will be your dominant function. Introverts use their dominant function in their inner world and it is this function which is most developed – their “leading function”, the “lead character” in the movie of them. By definition, this function is hidden from the world – it’s introverted, it’s internal. If the final letter in your type code is a P, then your dominant function will be your T or F. If the final letter in your type code is a J, then your S or N will be your dominant function. So if you’ve been following along, you may now have some insight into how a person who prefers INFP is different from a person who prefers INTP. For an INFP, their dominant function is their Feeling (F) preference. For an INTP, their dominant function is their Thinking (T) preference. Just one letter different, F vs a T in the four-letter code: who knew it could make such a huge difference! And yet it does. Even with only one letter different between these two types, INFPs and INTPs are like chalk and cheese. Your lead character is either Thinking (INTP) or Feeling (INFP) – and they make decisions very differently. Just like you don’t need to understand how the engine works to be able to enjoy driving a car (you just want to know it’s built properly), you don’t need to understand type dynamics in detail to be able to enjoy using your Style Type Report. But you may find it interesting to at least know what your dominant/leading function is. Please note this is the simplified version – there is yet more sophistication to this concept of type dynamics, but we’ll keep it at the simplified level for now. Just knowing your dominant/leading function exists can open a new doorway into curiosity and exploring who you are and how you get along in the world, interact with others, and respond the way you do to life’s circumstances. You could spend years exploring your dominant/leading function, and still be learning new things about yourself! There are many, many layers to psychological type – and type dynamics (and exploring your leading/dominant function) is one of those layers, giving your Style Type a complexity, sophistication and richness that few other models of personality have. Okay so that’s quite a lot to take in! But there is more! We have colleagues and friends in the psychological type international community who have devoted their working lives to understanding psychological type and its dynamic nature, including having done PhDs in this field. So what more is there to know? Well, in short, there is an order of psychological type preferences, with the dominant being the most important, then a second, third, and fourth preference (referred to as auxiliary, tertiary and inferior functions). Type theory and the considerable research done on this aspect of psychological development suggests that these parts of our personality develop in a relatively chronological order, from childhood through to midlife. 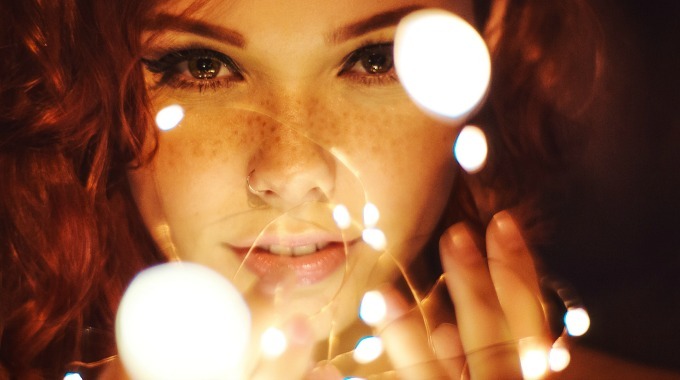 Confidence and self-esteem are built on a strong foundation of trusting your most preferred personality preferences—your dominant and auxiliary functions. Over the course of your life, different preferences may emerge and be used more often, as well as more easily. As you develop, the way you see the world and the way you behave often expands. You learn to behave in certain ways, depending on what your circumstances are and what is required of you. This is a natural part of adult development, of becoming more self-aware, and is to be expected. That said, it’s important to recognize that this “development” does not mean your personality preferences have changed. Even if the context you find yourself in does not support your personality preferences, they are still there—striving to be used. Like a cork held under water, your innate personality preferences will naturally pop to the surface once any resistance (in the form of needing to behave outside of your personality preferences) is removed. More about innate preferences vs. learned behavior here. If life allows you to be who you really are, your innate preferences will come to the fore. Whilst we all learn to develop our suite of behaviors, it’s important to recognize that living for too long outside our natural personality preferences comes at great cost. We can experience great stress and anxiety when our natural personality preferences are not allowed to develop and be used naturally. And working outside of our innate preferences all the time costs us in energy – the conscious energy required to alter, adjust and modify our behavior and natural approach, rather than being ourselves. Later in life, the theory of personality development goes, we are drawn to explore outside our most preferred personality preferences. To use the correct terms, we are called to develop our tertiary and least-preferred functions later in life. This gives us an even greater range of behaviors and experiences. This can confuse some people who are first introduced to this model of personality development in mid-life or later—they often believe they “do everything”. And of course, they can do a lot. They have experienced a lot in their lives and may be competent in many areas, including things that are psychologically opposite to their innate preferences. But being able to do a lot and access a broad range of behaviors does not mean the same thing as having an innate personality preference for everything or having preferences on both sides of a dichotomy. Such a thing is simply impossible, psychologically speaking. Our most preferred personality preferences—our dominant and auxiliary functions—will always be at the core of our personality. 16 Style Types is developed using this rich complexity of the 16 personalities. Interwoven into our Style Type Reports (get yours here), and everything we do at 16styletypes.com is a deep appreciation and understanding of power and depth of this model of understanding personality – and style. I have my report and would love more examples of my “storefront”, which is very interesting. Are you planning more type content? How about type Facebook groups? I’d find those things useful too.